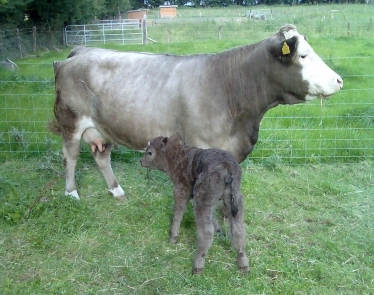 We have been lucky over the last few years to be able to turn our dreams of operating a smallholding into a reality. Our love of food, gardening and animals has inspired us to expand from a very small veg patch to now stocking Cattle, Large Black Pigs, Goats, Sheep, Geese, Ducks and Chickens, as well as producing most of the vegetables and fruit we need. 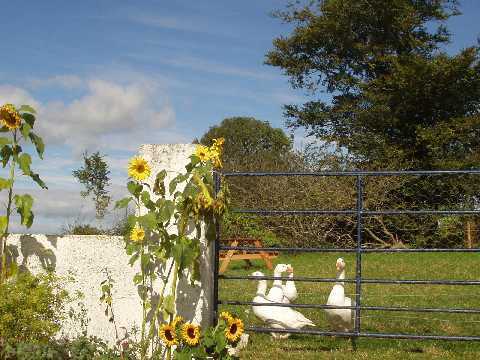 During 2016 we are delighted to offer some 'Introduction to Smallholding' courses at Croan. 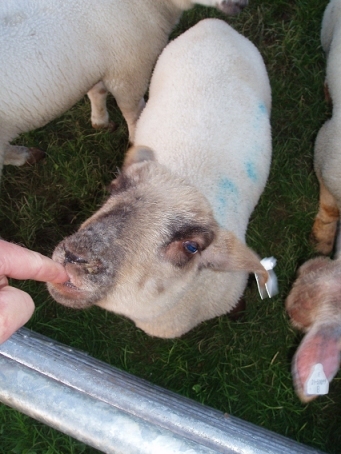 Full details of our smallholding courses are available on our Smallholding courses in Ireland page. As well as working on the restoration of the old Walled Kitchen garden at Croan, we have now planted Plum, Pear, Cherry and Apple trees. Many of the Trees have been sourced from Irish Seed Savers who propogate rare native Irish varieties. We have tried to find as many varieties local to the Kilkenny area as we could. 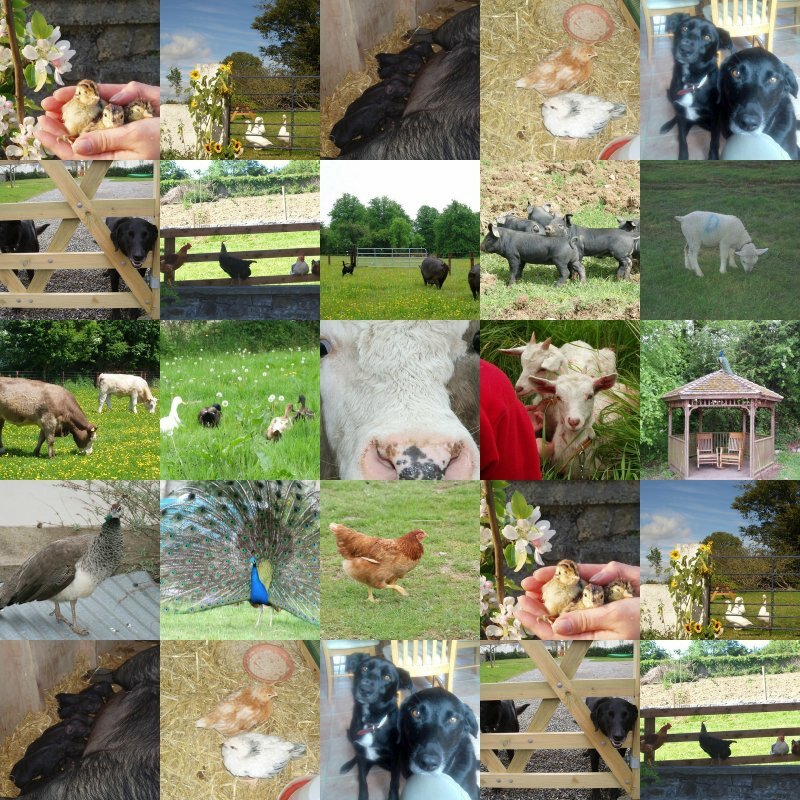 At Croan we keep Cattle, Sheep, Goats, Pigs, Geese, Ducks, Hens, Peacocks, Pheasants and of course dogs! During this summer we may miss out on the production of vegetables because of the restoration work we are carrying out on the old walled garden of Croan House. This garden is approx. 1 acre in size and is protected by a limestone wall up to 8 feet high. Remedial construction work began in March 2005 and this summer will see the building of our greenhouse and sheds. 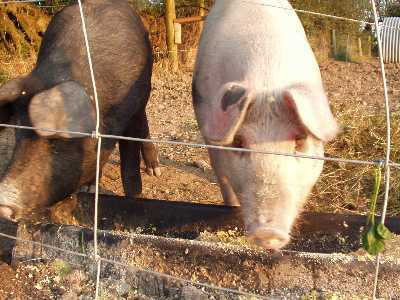 May and Marge our Large Black and Gloucester Old Spot pigs, have been a great help in rooting up the well established weeds in the garden and giving the soil a little nourishment. They enjoy a happy life grubbing in the open. Use is made of wild produce as well as the cultivated at Croan House and Croan cottages. Nettle Beer is a delicious Spring and Summer drink that is well worth the occasional sting suffered during the collection. Even the decorative plants are put to use, our poultry love the seeds from the Sunflowers that we plant every summer. 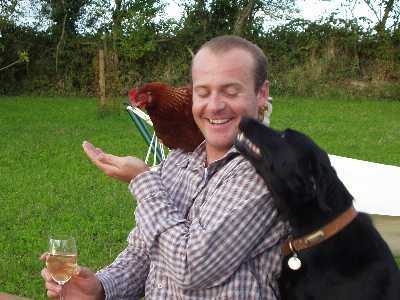 It's not all hard work, there's plenty of time to enjoy a few laughs with the more friendly animals when we take a break from looking after our self catering cottages, the other animals and the gardens of Croan House. 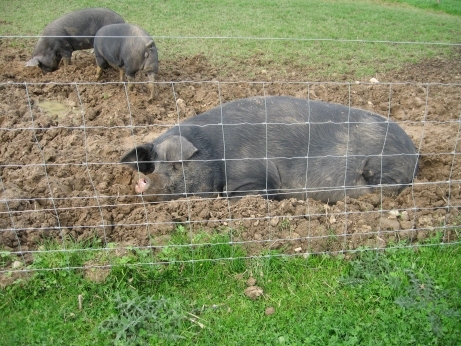 One of our Large Black Sows have a rest in the muck while the kids have a play! Little Snowbell, named by Caoimhe Shorte when she visited in April '08. Snowbell is just 6 weeks old. Be sure to return to our self catering website at www.CroanCottages.com to check on progress as we restore the old walled garden. 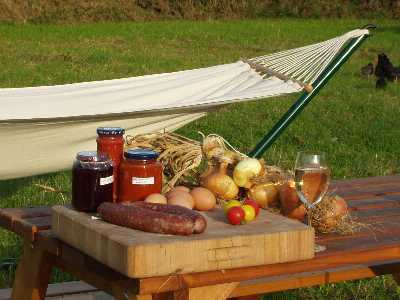 We hope to be able to offer fresh organic produce to our guests, straight from the garden soon. Thank you for a lovely stay. The setting is fabulous, we love all of the animals and it was great being able to bring our dog. Hope to see you again!